The entire team at the ibis budget Paris Orly Aéroport hotel welcomes you to a fun, modern hotel. At your disposal round the clock to make you feel at home, our team will make your stay a unique experience. 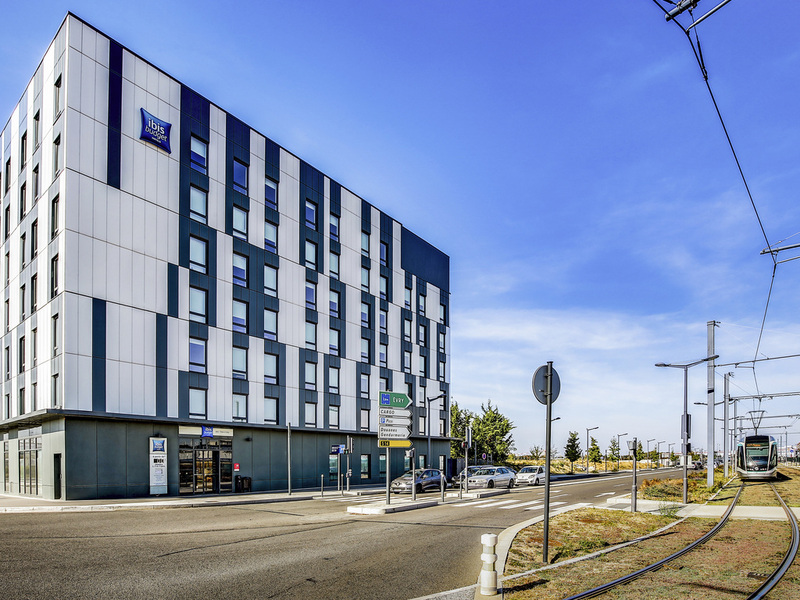 Conveniently situated at the heart of Paris Orly Airport, around 330 yards (300 m) from the south terminal (Terminal Sud), the new ibis budget Paris Coeur d'Orly Airport hotel welcomes you for your stopover or your business or leisure trip. Our fully air- conditioned hotel is just a few tram stops away from the Silic area, the Rungis International Market, and the Espace Jean Monnet complex. Enjoy an unlimited buffet breakfast at an excellent price! Transport and restaurants nearby. Free WIFI. The ibis budget Paris Orly Aéroport hotel is located approx. 330 yds (300 m) from the South Terminal, by foot or free shuttle bus. Ideal location 15 min from Paris, close to Rungis International Market, the SILIC business district and Espace Jean Monnet. Discover the new food service offered by your ibis budget: "Les bocaux Vrai&Bon" snack jars. Ask at reception for the selection of starters, main dishes or desserts. Quick and smart, it's ready in 4 minutes!